Race season is upon us, which means a growing sense of FOMO as you watch your running-obsessed friends travel to marathon meccas. But if you think that run-centric travel is reserved only for those fit enough to tackle 26.2 miles, think again. Fact: 94 percent of wanderlusters prioritize high-quality fitness offerings when choosing the perfect vacation spot, and nearly 44 percent long for a retreat in nature for their OOO time, according to a W+G survey of 4,600 readers. Translation: Runcations are on the rise, because they’re the perfect way to go into vacay mode—while staying on top of your fitness goals. Runcations are on the rise, because they’re the perfect way to go into vacay mode—while staying on top of your fitness goals. Whether you consider yourself a runner or not, taking a jog through a new city is one of the best ways to explore it, according to Heuisler. And for running die-hards, chasing pavement in a new locale can infuse you with new excitement for your sport. To help you plan the perfect runcation, we’re getting all the deets on where to go from Heuisler, who travels at least once a year to sprint through unfamiliar streets. “Almost 20 years ago, my brother and I set a goal to run a marathon in every state,” he says. With 26 states down, he’s practically a runcation Yoda. Keep scrolling for Heuisler’s recs for the best running spots—and his advice to make the most of your active vacay. This outdoorsy city is made for long, scenic runs. Stay at a waterfront property (like The Westin Bayshore) and you’ll be perfectly situated near the famed Seawall, which is the world’s longest uninterrupted waterfront path stretching nearly 14 miles. With plenty of gorgeous views of the mountains, waterfront, and forests within the thousand-acre Stanley Park, your miles will fly by. 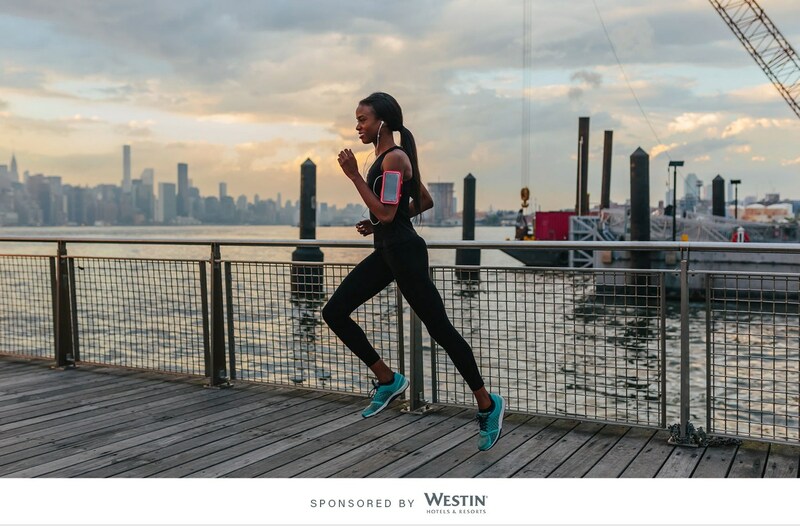 To make sure you’re seeing the best the city has to offer during a stay, download one of the custom Westin running maps before hitting the road. Every three- or five-mile route is put together by local runners, so you know you’re in good hands. “From the trees to the ocean, the five-mile run from Westin Bayshore stands out as one of the most picturesque runs I’ve ever done,” Heuisler says. And considering his running experience, that’s saying something. With an abundance of sunshine, ocean views, and miles of sidewalks/paths/trails, San Diego has serious pick-your-own-adventure vibes. To romp through lush gardens head to Balboa Park, where you’ll be tempted to stop for a sweaty selfies with the blooms during your run. If downtown-and-waterfront views sound like a winning combo, run along the Embarcadero, which offers nearly five miles of flat road. If surf and sun are more your speed, take on the three-mile trek from Mission Beach to Pacific Beach. And if you’re feeling something more rugged, head to one of the many regional parks in the area including Mission Trails Regional Park to run through mountain trails. ‘Gram from the top definitely encouraged. When visiting a city that hosts one of the most popular marathons in the world, you might as well pay homage with your sweat sesh. With the running route that originates from The Westin Copley Place, you’ll see charming Acorn Street (there’s a reason it’s the most photographed street in Boston) and you can run across the Boston Marathon finish line pretending you just logged 26.2 (even if you only ran a few miles). But Heuisler also suggests deviating from the path when possible. “Running affords you the opportunity to see sights that many are not privy to, and that’s a nice perk of choosing to be healthy, fit, and adventurous on the road,” he says. Permission to get (a little) lost on purpose. Turns out, Wisconsin’s largest city is an underrated running destination. Whiz through Olmsted Park, designed by Frederick Law Olmsted of Central Park fame, for plenty of shady stretches and garden views. Another option is the 13-mile Hank Aaron State Trail, along the city’s former rail trail, which is dotted with public art, river views, and restored prairie land. If you’re staying at The Westin Milwaukee, you’ll be a half mile from the Milwaukee Bay. “If you get out early enough, you can catch a beautiful sunrise,” Heuisler said. You can almost smell the fresh air from here. Dreaming of seeing big skies and double rainbows instead of skyscrapers on your a.m. run? Catch a flight to Hawaii’s Hapuna State Beach to find a swoon-worthy scene filled with outdoor trails to explore, and on rest days you can give your legs a break by lounging poolside at The Westin Hapuna Beach Resort. Even better than white-sandy beach runs? If you forget your activewear (or prefer to pack a lot of bikini options) Westin has your back with its Gear Lending service, which hooks you up with all the New Balance clothing and sneakers you’ll need for daily runs and workouts throughout your stay. Because swapping out your bulky running shoes for a week’s worth of beauty products is a way better use of luggage space.